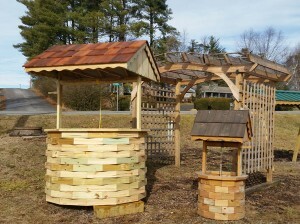 We offer a wide variety of Amish built patio furniture that is beautifully hand crafted and built to last. Our brochure showcases the variety of items that can be ordered – custom made orders for items can be placed as well. 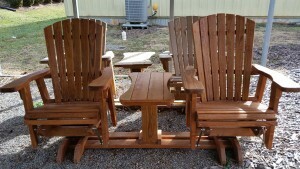 All the outdoor furniture is made of Kiln dried lumber with double zinc coated screws for long life. All furniture comes with high quality water sealer and can be stained in honey gold or redwood, or just stained with the clear water sealer. The delivery time is usually 2 weeks from the time the order is placed. Stop by our office and take a look!